The most common methods of evangelism are tailor-made for extroverts. But what about the rest of us? Other Christians, including introverted, reflective people, are left with feelings of guilt and fear and the desire to become more outgoing. The problem, says Mike Bechtle, is not their personality, but that they've been taught methods of evangelism that push them too far out of their comfort zone. 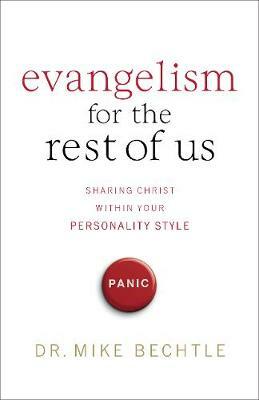 In Evangelism for the Rest of Us, Bechtle shows readers how to share their faith in more comfortable ways by helping them discover and define their unique strengths within their personality type. With fresh, biblical insight, this much-needed resource renews a passion for sharing Christ with others, because telling the Good News does not have to be so intimidating.